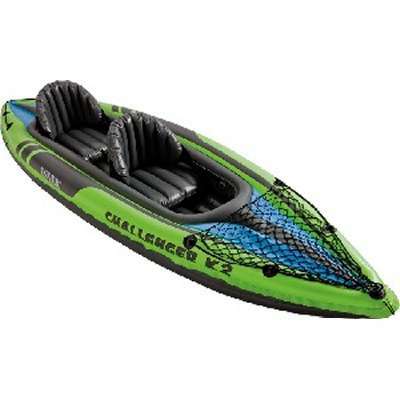 Grab a friend and spend a summer day out on the water in the Intex Challenger K2 Inflatable Kayak! The deluxe streamline design makes for easy paddling on both lakes and mild rivers, while still remaining lightweight and compact. The cockpit features 2 inflatable seats with backrests and a cargo net for easy storage. Shop with confidence! Provantage is an authorized INTEX dealer.